Australia is a country that is not only large but exudes a great sense of uniqueness and diversity as well. When it comes to banking and financial matters Australia boasts of its similarly unique financial and banking institutions as well. 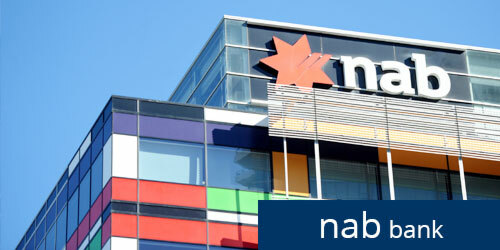 Widely known as NAB, this bank is regarded as one of the largest banks in Australia in terms of customers’ base and market capitalization. In 2014, the NAB bank ranked 21st as the world’s largest bank in terms of capitalization and 41st in terms of total assets. It currently operates 1,590 branches and service centers and 4,412 ATMs scattered around the country, serving more than 12.7 million plus clients. With head office in Melbourne, the NAB bank now has total revenue of AU $ 20.18 billion and total assets AU $ 945 billion as for the year 2015. With head office in Darling Harbour, Sydney, CBA has more than 1,100 branches, 4,300 plus ATMs and 45, 129 staff that serve more than 15 million clients from all across the globe. As of 2016, CBA has also recorded total revenue of AU $ 24.578 billion, AU $ 60.756 for its total equity, AU $ 933.78 billion as total assets and AU $ 277.2 million as the total amount issued for loans. 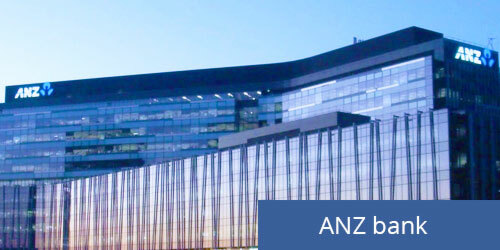 The Australia and New Zealand Banking Group is popularly known as ANZ and is regarded as the fourth largest bank in the country by market capitalization after the NAB bank, Westpac and CBA Bank. The local operations are the ones that make up the biggest part of the bank’s business with retail and commercial banking dominating. Aside from its numerous operations in Australia and New Zealand, ANZ bank also serves thirty nations as well. and a total number of 50,152 staff. Westpac Banking Corp. is popularly known as WBC or simply Westpac. It is a bank and financial service provider with main office in Sydney. Touted as one of the biggest banks in the country, Westpac’s name is a portmanteau of Western Pacific. As of 2015, WBC has 13.1 million clients, 1,429 branches and 3,850 ATMs and 32,620 as the total number of employees. Westpac is also the second largest bank in the country in terms of assets. As of 2015, WBC comes with total revenue of AU $ 21.642 billion and total assets of AU $ 812.156 billion. With head office in Sydney, Macquarie is touted as one of the biggest investment banks in the country. Known for its expertise in the field of acquisition and mergers this bank has made it possible to complete $ 420 million book-build, only expectant of raising 400 dollars originally. It has 70 branches in 28 countries and 14,372 as its total number of employees worldwide. Its total revenue is worth $ 14.77 billion, 196.8 billion in total equity, and AU $ 172.6 billion as its total assets.